Organize papers in this three-drawer commercial grade file cabinet. The well-built espresso file cabinet has chrome handles and is strong with laminated, double-faced melamine and suitable for contemporary offices. 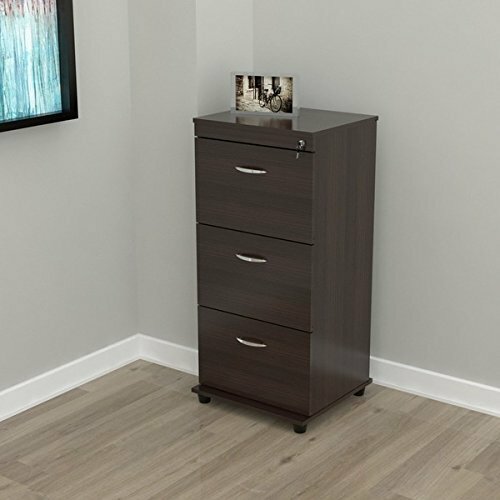 Use letter- or legal-size folders and feel secure with the locking system that operates for all three drawers. If you have any questions about this product by Inval America LLC, contact us by completing and submitting the form below. If you are looking for a specif part number, please include it with your message.